5 different handmade "rock" pendants - these are not real rocks! They are made from hot glue, paper, and glitter and processed in epoxy resin for a plastic coat. All pendants are 1.18-inch diameter or smaller. 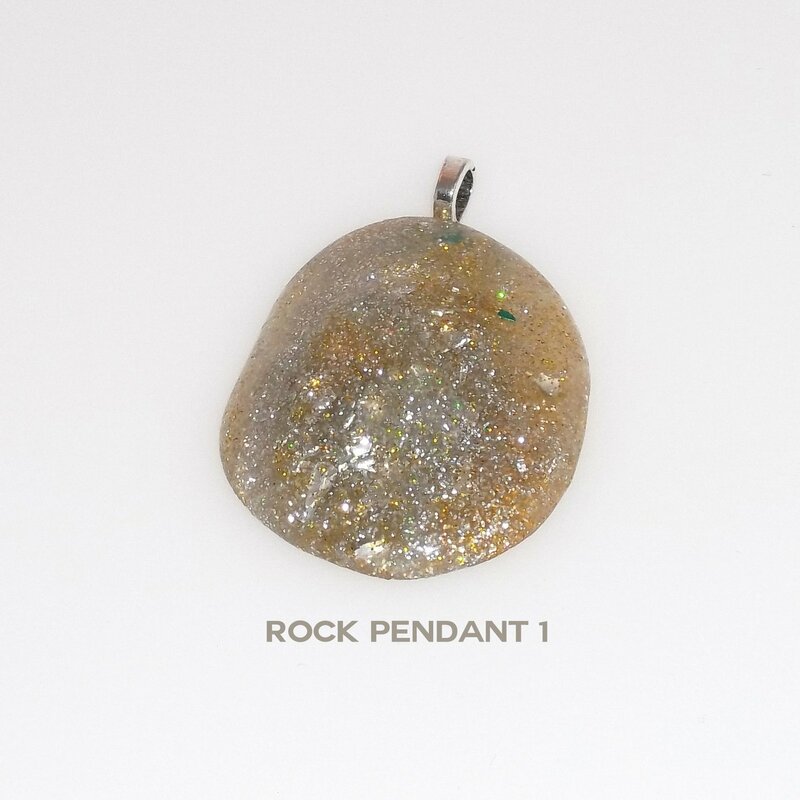 Rock Pendant 1 - Silver and gold oyster, rounded with silver loop. Rock Pendant 2 - Blue and amber with a key, squared with silver loop. Rock Pendant 3 - Silver and red, squared with silver loop. Rock Pendant 4 - Clear, blue, amber with silver stars, squared with silver loop. Rock Pendant 5 - Blue and gold, rounded with gold loop. Just attach it to a chain! 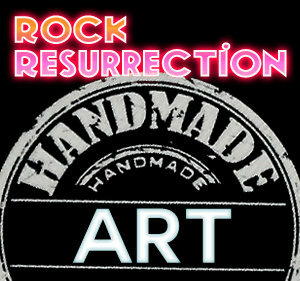 You can find even more rock pendants on my ebay store!